With advancement in robotic systems towards being autonomous surveillance robots the need for more smart thinking robots has become very essential. One of the aspect of tracking an object from its visuals has been taken up in this project Object Tracker and Follower Robot. 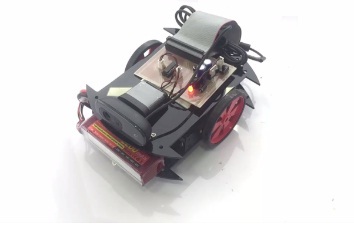 In essence this project clubs in image processing and driving a robot autonomously with what visuals have been caught as has been in the case of Machine Vision projects. 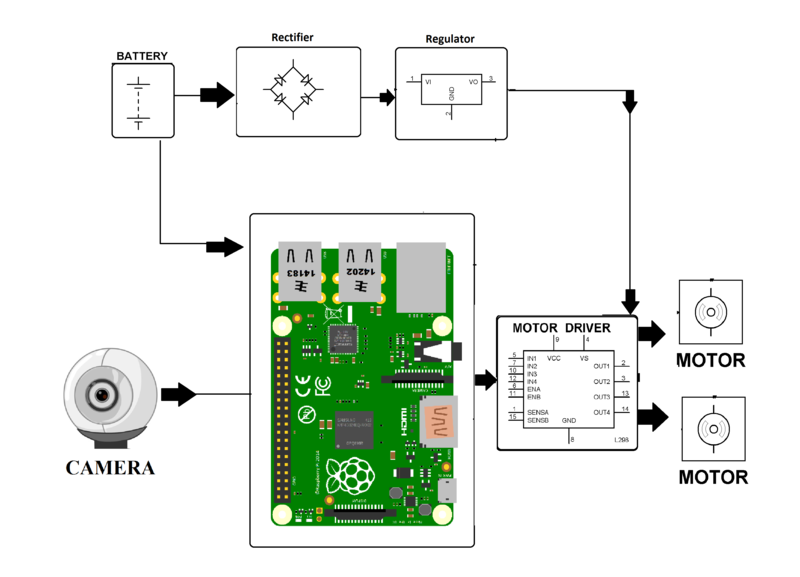 This project will be using a Raspberry Pi processor board for computational purpose and driving of the robot. The camera attached to the system captures the images of the front of the robot where it is attached. By monitoring a stream of incoming images the robot is able to autonomously decide to proceed in which direction it should go. The incoming visuals are processed using image processing techniques. By the use of image processing the coordinates of the target is recognized by the robot following which it follows a path to get to the target. In this project we have demonstrated this ability of the robot by using a yellow colored Smiley face ball. Whenever a ball is placed in front of the robot it recognizes the ball shape and color and estimates by this about what direction is it from its current location and also an approximated distance from the ball. With these calculations it proceeds towards the ball and stops at a location near the ball. This project demonstrates the capability of robots having target tracking capabilities autonomously with the help of image processing and robot driving by the results of image processing. 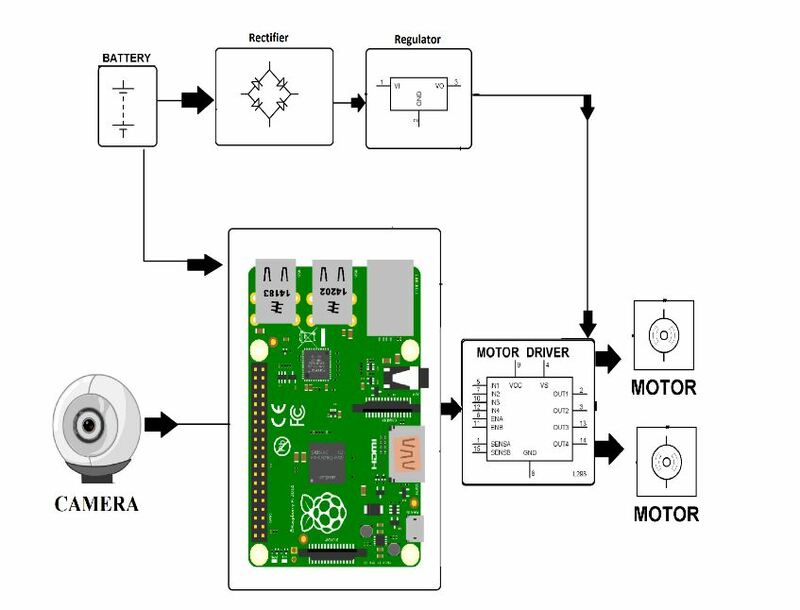 The robot can follow the object even when the object is moving at a speed which can be tracked. In this way with the help of advanced technology the Object tracker and follower robot can achieve object tracking autonomously.